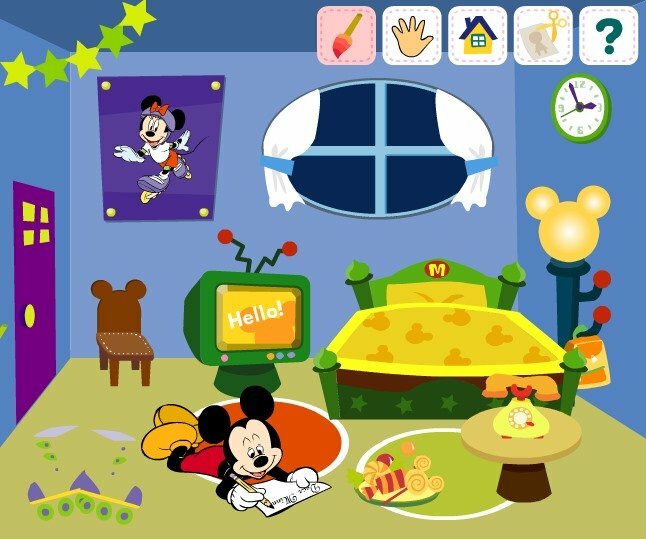 Do you like Disney cartoons and especially Mickey Mouse? 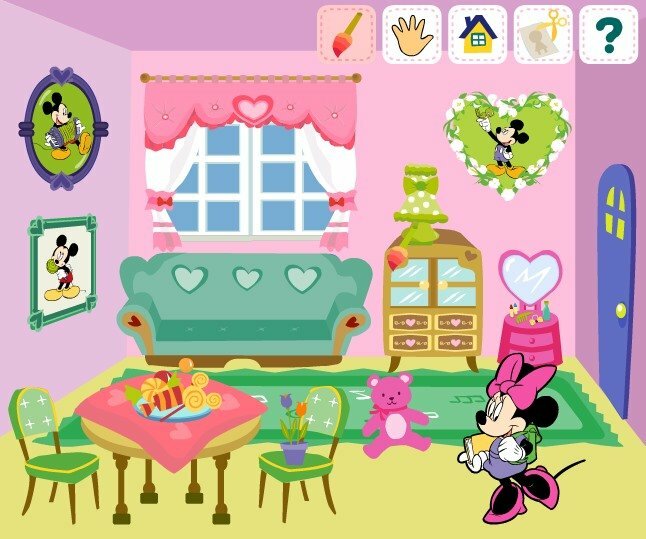 In this room designing game you can think up and decorate the Mickey Mouse room for a girl and a boy. How to play: In the beginning of the game, press Start button. Then you can win a room for a boy or girl. Next use your mouse to click on objects in the room and change their color. Click with the mouse on the door, walls, chairs, cabinets, window. All that will change color and become more beautiful. In addition, you can move them. To do this, press the button with the hand on top of the game screen. If you want to go back to changing objects colors click on the square button with a picture of the brush. Played: 45306. Added: 9-02-2014, 15:13. 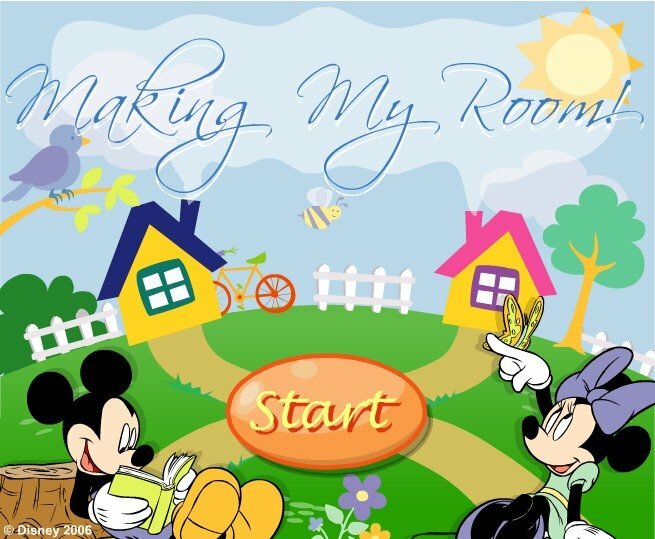 A Mickey Mouse room game. 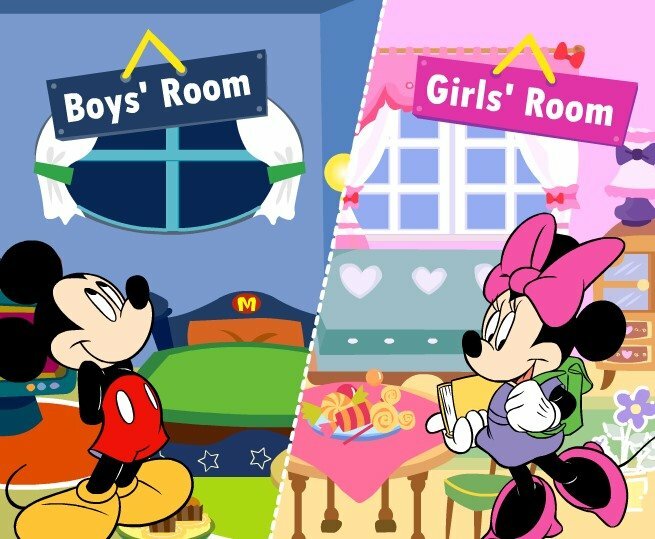 Choose girls or boys room.